CWHC National Office, Western/Northern and Alberta Offices were recently visited by an Australian wildlife health officer, Jane Hall (Wildlife Health Project Officer for the Australian Registry of Wildlife Health, at Taronga Zoo in Sydney). 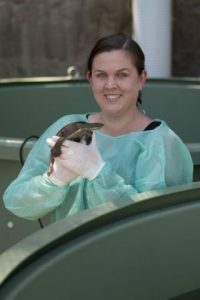 Jane is the recipient of a Winston Churchill Memorial Trust Fellowship to investigate ways to improve Australia’s ability to manage wildlife disease mortality events, so naturally a stop at the Canadian Wildlife Health Cooperative was in the cards. During my time in Saskatoon, SK I was able to attend the CWHC Annual General Meeting (AGM) and associated meetings and get a fantastic overview of the past, present, and future directions of the CWHC. It was also a unique opportunity to have all of these incredible people from all of the wildlife health regions and organizations in one room discussing their own journeys within this space. The enthusiasm and passion of every person I met was infectious and I definitely walked away with some new ideas and renewed focus. 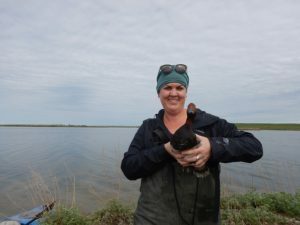 I also was fortunate to spend some time with Western/Northern’s Dr. Trent Bollinger and Marnie Zimmer and get my hands dirty helping with the wild waterfowl Avian Influenza Virus surveillance project. In Calgary, Dr. Susan Kutz and her team were very generous sharing their work with arctic indigenous communities and wildlife conservation programs. Collin Letain was a fantastic host and so I was able to tour the University of Calgary’s Wildlife Research Station and meet with the veterinarians working towards species conservation at the Calgary Zoo. 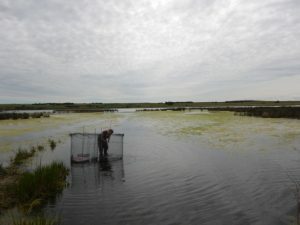 Other stops in Jane’s Churchill Fellowship journey included South Africa’s Kruger National Park, National Institute of Zoological Diseases, and Pretoria Zoo; the United Kingdom’s London Zoo and Institute of Zoology, and the Animal & Plant Health Laboratory; the University of North Carolina (Beaufort and Wilmington), SeaWorld San Diego, and NOAA’s Southwest Fisheries Science Center (SWFSC) in the United States. The Winston Churchill Memorial Trust fellowship is awarded to Australians from a widely diverse array of backgrounds to be able to access industry and community leaders from across the world, for the purpose of exchanging knowledge, exploring new technology, and gaining experience for the benefit of Australian Society. The Australian Registry of Wildlife Health (The Registry) is a research program of the Taronga Conservation Society in Sydney, Australia. The Registry improves Australia’s ability to detect and diagnose endemic, emerging and exotic diseases and is committed to the preservation of Australia’s biodiversity through increased understanding of the interaction among animals, the environment, and disease causing agents. 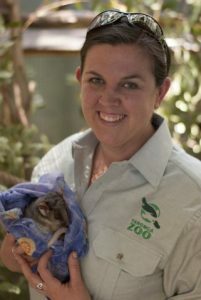 Contributed by Jane Hall, Wildlife Health Project Officer, Wildlife Health Project Officer, Australian Registry of Wildlife Health, Taronga Zoo, Sydney, Australia.